And we are off…our first post! 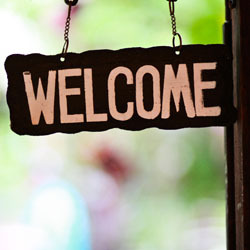 Welcome to Acorn Leisure Holidays website! 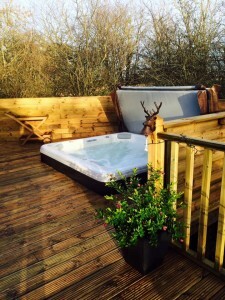 Woody’s Lodge is one of the latest additions to the award winning country park based in Northumberland, situated in a quiet cul-de-sac with its wrap around decking and luxurious sunken hot tub it’s the perfect place to unwind and recharge those batteries. 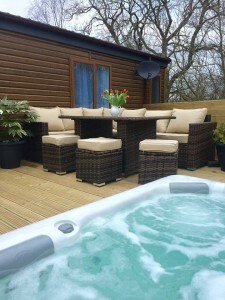 Since Woody’s Lodge has a spacious decking, we have added to our outdoor furniture. We have a fantastic corner sofa/dining table with extra seating available should you need it. 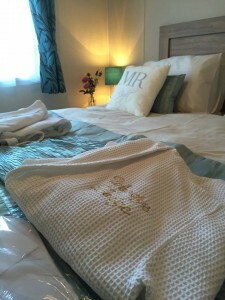 We have also just taken delivery of our branded spa robes, perfect for drying off after a dip in the hot tub. We were actually considering at some point in providing some form of cover over the hot tub akin to a gazebo, but the dark skies of Northumberland are an absolute treat and it would be such a shame to hide the blanket of stars that greet you on a clear dark night. So come rain, snow or whatever the weather may be, the hot tub remains uncovered so that your chances of seeing your own shooting star is maximised! It’s not all about the lodge, our beautiful, modern and tastefully decorated holiday home is being given a face lift. Within the next couple of weeks we will have a wrap around decking with sunken hot tub added. I can’t wait to show you some pictures, watch this space…or subscribe to our Monthly updates by registering your interest. Finally, now that Valentines is out of the way, we are focusing on preparing for our Mother’s Day and Easter Welcome Baskets. Expect to see perhaps a bunch of flower’s or an Easter Egg. This is my favourite part, buying and sourcing local produce in Northumberland – I’m always looking for quirky and different small gifts or furniture! If you do see anything that you think I may be interested in, please do share by tagging us in your posts or pictures. I’ll leave it there for now, but we would love to hear from you and if you have any feedback on how we could improve our site or services, please do let us know.